As a child, my mother always told me to never leave my plate completely empty. She said to leave just a little bit, it makes you look refined and that you had enough of whatever was given to you, no matter how hungry you truly are. While it never really made much sense to me, I always kept that tradition. 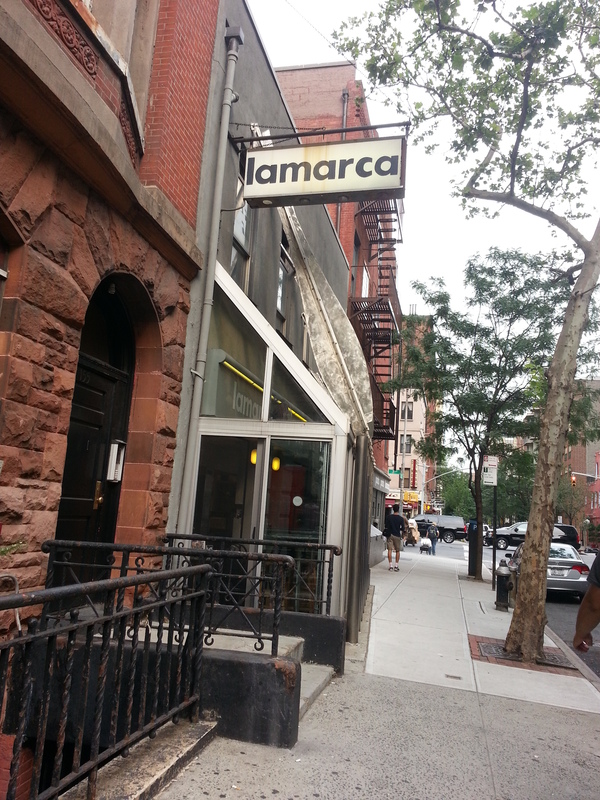 Then I went to Lamarca. 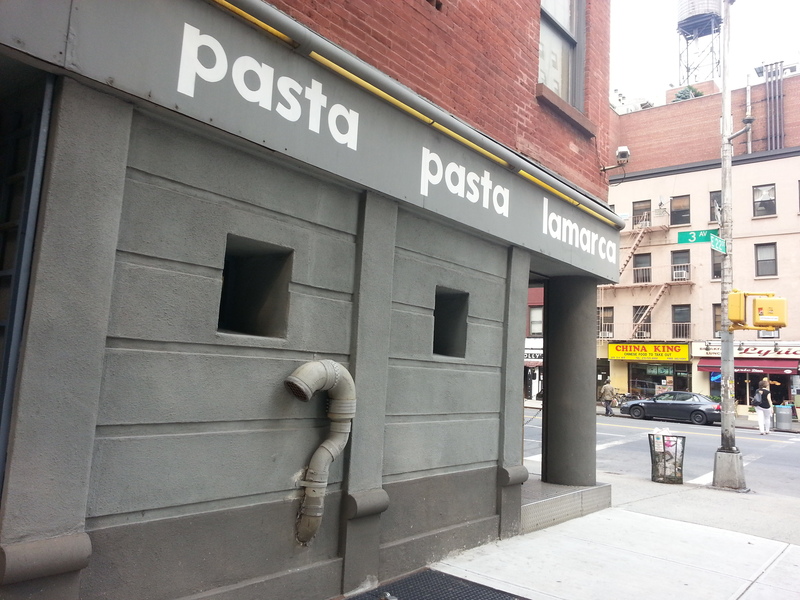 Randomly googling for a pasta joint in the city led me to Lamarca, a wonderfully warm and quaint Italian restaurant on the Lower East Side. I’ll spare you the details on the ambiance and get straight to the main course I had, their Lasagna made only on Thursday and Friday. I never had lasagna at a restaurant, quite frankly, I have only had lasagna whenever my family made it and one time my friend experimented making his own. While those efforts were good this one totally blew them out of the water. 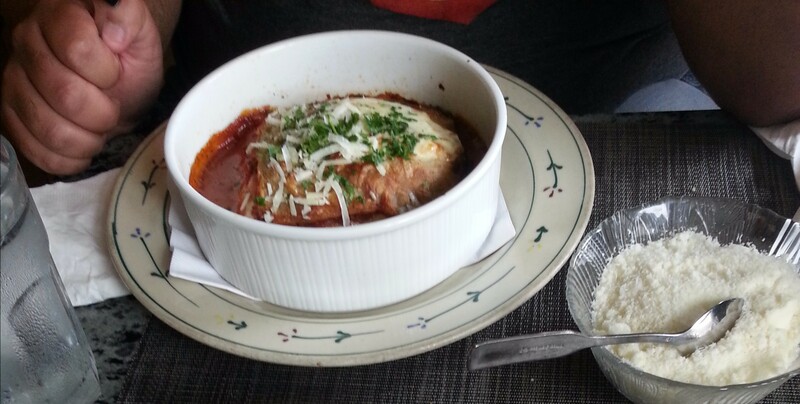 The meat lasagna was served in a round bowl, something I was not expecting. Topped with parsley, it left a rich range of flavors in my mouth compared to the standard pasta sauce and cheese. One of the coolest things about this lasagna was that it was sitting in a pool of meat sauce, which had some beef mixed in and also added to the flavor. The lasagna itself did not have meat in it, which was another break from tradition for me because the homemade lasagna my family made in the past were filled to the brim with meat. The winning combination allowed me to fully appreciate the flavor of the sauce and noodles, all which were excellent. The Parmesan cheese offered really topped everything off. So good in fact that Nicole noted that my plate was completely clean. I did not even realize that I broke a 22 year tradition. It was THAT good. I advise anyone that has an extra 20 dollars on a Thursday or Friday to head down to Lamarca and prepare to be amazed. I know I was. I eat like a truck driver, but every now and again something good like this comes my way. So good I had to share.